Roof replaced in Oct 2018 by Carlton Constitution, kitchen flooring replace in Dec 2018. Furnace serviced in Dec 2018. Seller are planning of interior painting and replacing remaining flooring and adjusting price accordingly, or buy it now for $115,000. 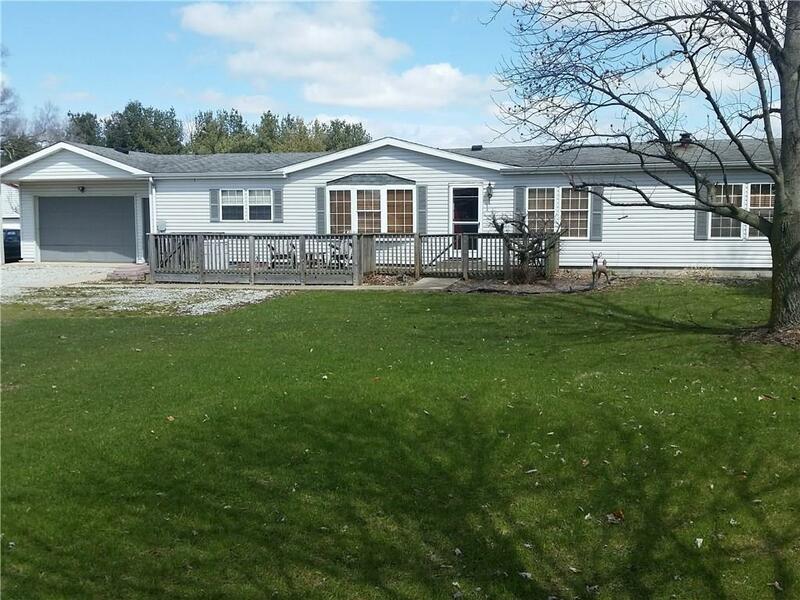 Three bedroom ranch sets on large rural lot (.93 acre), 1680 square feet with large master bedroom, 11 x 13 sunroom, large 2 car garage, and fenced in backyard.